The Division of Pulmonary & Sleep Medicine is dedicated to providing excellent clinical care to children with a variety of breathing and sleep disorders through our clinical affiliate Ann & Robert H. Lurie Children's Hospital of Chicago while training the next generation of pediatricians with an interest in pulmonary and sleep medicine. This rapidly expanding division has clinical and research interests in specialized areas such as aerodigestive disorders, asthma, cystic fibrosis, interstitial lung disease, neuromuscular disorders, primary ciliary dyskinesia, pulmonary hypertension and technology-dependent children with complex care needs. 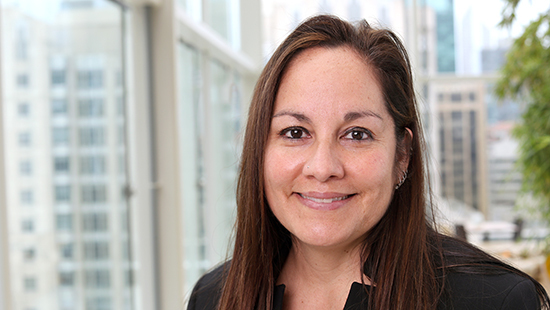 "I believe that through effective communication, mutual collaboration and intellectual curiosity, we can facilitate partnerships in clinical care and develop academic tools to further the fields of pulmonary and sleep medicine for children both locally and nationwide." 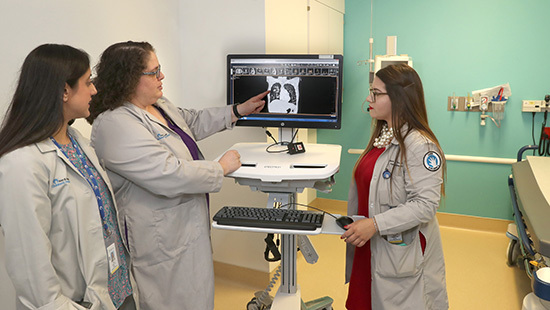 Located within Lurie Children's on the downtown Northwestern campus, medical students, residents and fellows learn at the city’s largest pulmonary practice within a dedicated academic medical center. Pediatric residents can choose Pulmonary & Sleep Medicine subspecialty rotations and learn through daily inpatient care of patients with a variety of pulmonary disorders, such as cystic fibrosis, asthma, bronchopulmonary dysplasia and neuromuscular respiratory weakness. Our fellowship program harnesses the clinical and research expertise of Lurie faculty as well as the academic resources of Northwestern University to provide the optimal training environment. The division conducts innovative and groundbreaking research exploring the pathogenesis and treatment of diseases such as cystic fibrosis, interstitial lung diseases and narcolepsy. The Levy Laboratory focuses on integrating genetic and genomic analyses to advance understanding of how environmental, genetic and epigenetic factors influence the progression of cystic fibrosis. The Laguna Laboratory uses state-of-the-art microbiome and metabolomic tools to investigate infectious and inflammatory markers of early lung disease in cystic fibrosis. We encourage all faculty, staff and trainees to engage in scholarly work and look forward to the opening of the new Simpson-Querry research facility, which is nearing completion on the Streeterville campus. Research projects include a wide array of laboratory-based, observational and interventional studies to better understand and develop ways to prevent diseases and improve treatment options for children and adolescents. View our publications feed. Faculty members serve on the boards of multiple national academic organizations, foundations and committees, playing a significant role in promoting advocacy efforts at national, state and local levels. 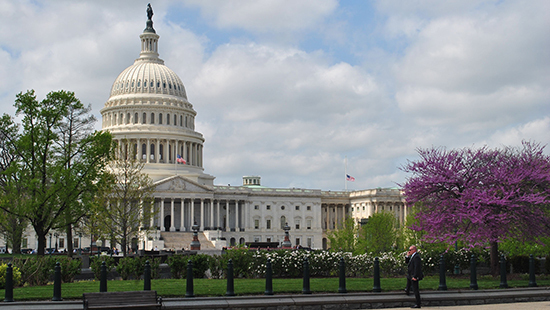 From Capitol Hill to the Chicago City Council, staff raise awareness and support important access to care legislation. This newer medical discipline is dedicated to clinical care, advocacy, education and research in all areas of Pediatric Sleep Medicine including sleep-disordered breathing (pediatric obstructive sleep apnea, pediatric central sleep apnea, sleep-related hypoventilation syndromes, non-invasive CPAP, bilevel PAP therapy and non-invasive ventilation), narcolepsy/cataplexy, circadian rhythm disorders, nightmares sleep disorders, parasomnias, sleepwalking, restless leg syndrome/periodic limb movement disorder, and insomnia. Since 1995, Lurie Children's Sleep Center has evaluated and/or treated more than 30,000 children. The Pulmonary Habilitation Program Transitional Care Unit is a medical home for children with pulmonary insufficiency requiring mechanical ventilation. The program offers trainees and providers an opportunity to explore the latest approaches to treating technology dependent and medically complex patients. Lurie Children’s pulmonary division participates in a multicenter effort to build a national registry documenting Childhood Interstitial Lung Disease (CHiLD) epidemiology, prognosis and progression. These collaborative efforts are expected to provide valuable insights into disease occurrence and prevalence to further development of new therapies. Development of new programs in High Risk Asthma, Primary Ciliary Dyskinesia (PCD) and an expanded multi-disciplinary Aerodigestive program are actively underway. We invite physicians interested in contributing to, and learning about, these disciplines to contact us. The Cystic Fibrosis (CF) Center at Lurie Children’s has been a Cystic Fibrosis Foundation-accredited cystic fibrosis care center since 1963, and is the largest CF center in Illinois. A patient population of 200 children and 100 adults, multiple ongoing CF-related research studies, and active participation in advocacy and community outreach efforts all provide varied opportunities for advancing care for children with CF. Trainees in the Pulmonary Division can join Lurie’s multidisciplinary programs to provide leading edge treatment and supportive care for children with pulmonary hypertension or neuromuscular disorders, including spinal muscular atrophy, myasthenia gravis, Duchenne/ Becker muscular dystrophy, congenital and mitochondrial myopathies and peripheral neuropathies like Charcot-Marie-Tooth. Our hospital and research center relies on philanthropic funding to enhance its programs, services and research for children. To learn more, please contact the Ann & Robert H. Lurie Children’s Hospital of Chicago Foundation at foundation@luriechildrens.org or call 312-227-7500.